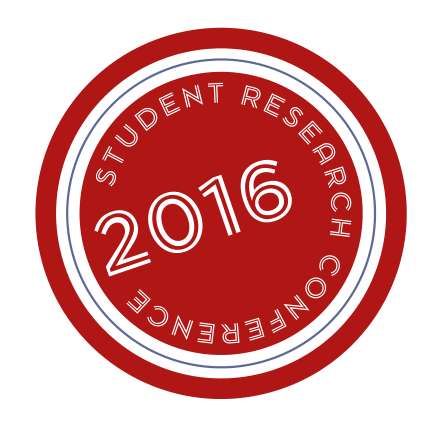 Vol 2 (2016): Student Research Conference 2016 | Student Undergraduate Research E-journal! This is the e-journal of the Student Research Conference, in which all selected papers have been published. The conference took place at the Radboud University Nijmegen. This paper compares the frames used in UK tabloid and quality newspaper coverage of refugees and asylum seekers [RAS] from August 2015 to February 2016. Specific and general framing devices were identified, and these were found to co-occur in coverage. A number of unexpected similarities were found, indicating a possible divergence from immigration related reporting patterns of the past. Moreover, the distinction between the presses with regards RAS coverage is becoming increasingly difficult to discern, likely driven by commercialisation of the market. This paper analyses compliance with the 2004/35/CE Environmental Liability Directive (ELD) in Sweden, the United Kingdom, Greece and Italy. Their compliance with the ELD reflects in how far pro-environmental ‘actions’ have been taken. Comparing compliance with environmental statements or ‘values’ made in their national parliaments displays to what extent there is a mismatch between values and actions, or a ‘value-action gap’. The four countries each represent one of the Four Worlds of Implementation, a model by Falkner and Treib studying general patterns of compliance with EU Directives. The ELD furthers the polluter-pays principle evident in the Kyoto Protocol. In this regard, the value-action gap helps identifying problem areas in European climate governance. Since 2009, Dutch primary school teachers have started to explicitly teach reading strategies to their students, basing themselves on findings that the use of reading strategies can benefit children’s reading comprehension. The aim of the current study was to examine how often Dutch 5th grade students (groep 7) apply reading strategies during reading, and to re-examine the relationship between reading strategies and reading comprehension. The results of this study indicate that children (N = 116) frequently paraphrase and activate background knowledge during reading. Activating background knowledge and monitoring were positively related to reading comprehension. In their grave inscriptions craftsmen – or their living relatives – mentioned their occupation and other aspects of their identity: the location of their workshop, supporting their former slaves as a patronus and being a member of/having a function in a collegium. However, they did not mention their skills. Craftsmen chose to show how successful they were, because they had to earn enough money to be able to do all this. This way they created an identity of individual financial success that fits the elite ideal of economic identity. This created identity gave the craftsmen social status. Centraal in mijn paper staat de vraag of musea en kunstencentra instrumenten kunnen zijn om empowerment, inburgering en gemeenschapsopbouw te bevorderen. Vertrekkend van een sociologische en demografische beschrijving, toon ik langs verschillende wegen de maatschappelijke relevantie van musea aan. Op basis hiervan ontwikkel ik een dynamische visie op het ideale museum. Vanuit de beschrijving van verschillende (kunst)projecten en tentoonstellingsprakijken distileer ik een aantal cruciale voorwaarden om te beoordelen of musea en kunstencentra mee de essentiële voorwaarden kunnen scheppen om inburgering te stimuleren. In drie casestudies ga ik na welke hefbomen en drempels m.b.t. empowerment, inburgering en gemeenschapsopbouw aanwezig zijn. This paper discusses the ways in which Frederick Lugard used the Niger river and her subsidiaries as a tool to secure funding from Great Britain between 1900-1905. The annual reports written by Lugard were propaganda to convince Parliament of the value of the Nigerian project by showing progress towards the installation of “legitimate commerce”. This paper proves that the British were, especially in these early years of colonisation, to a great degree confined to the Niger river. Three cases are analysed to show to what extent Lugard is bound to the river for his propaganda: the abolition of illegitimate trade, the promotion of Nigeria to replace the USA and India as the new centre for cotton farming, and the redirection of commerce from the trans-Saharan route to the English sphere. This paper concludes that the river held an abstract value for the British coloniser: apart from being the major highway for trade and transport, it was also an important tool for Lugard’s propaganda. Women generally value a potential partner's earning capacity more than men. Patriarchal gender ideologies could explain why even financially independent females prefer a mate with resources and would also hold for migrants from more to less patriarchal countries. To examine the role of gender traditionalism and ethnicity, the present online study compared the preference for a mate with financial resources in 406 Turkish, Dutch and German students and Turkish migrants in Germany and the Netherlands. As expected, more traditional females, and women from more patriarchal cultures, found resources more important than less traditional females, and women from more egalitarian cultures. The article presents a comparative historical analysis of two events from the Russian history: The Decembrist Revolt of 1825 and the Russian uprising of 2011-2012. The analysis is aimed at defining features that both events have in common. Based on the aftermath of the Decembrist revolt, the implications of the Russian uprising of 2011-2012 for the Russian domestic politics in the long-run are foreseen. The study uses a multidisciplinary and holistic approach, covering political, socio-cultural, and economic perspectives. After a general description of both events the comparison takes place, followed by the conclusion. Protests, plenums and politics: An analysis of the Bosnian Spring and its political (dis)continuity. This paper discusses the protests in February 2014, Tuzla, Bosnia-Herzegovina. While these protests resulted in the resignation of local governments, the elections that followed suggest a continuation of ethno-nationalist politics. This research explains how the characteristics that defined the collective identity of the protest movement are undermined over time and how this, together with a lack of strategy, created a negative climate for mobilization at the time of the cantonal elections, October 2014. Hereby, this research shows that while Dayton is often seen as the major obstacle, other factors also influence attempts at democratization and political reform in Bosnia-Herzegovina. Evelyn Waugh’s Brideshead Revisited (1945) has been adapted on-screen twice: as a series in 1981 and as a film in 2008. Even though all three versions present the audience with the same fabula, Charles’s (sexual) orientation has been approached differently throughout the years. Whereas Waugh’s 1945 novel leaves the issue of sexuality unaddressed and focuses on Charles’s conversion to Christianity instead, the 1981 series portrays a homosexual tension between Charles and Sebastian, and the 2008 film foregrounds the heterosexual, or even heteronormative relationship between Charles and Julia. Hence, this paper shows that sexuality functions as a social construction that changes over time, and in doing so offers a corrective view regarding the prevailing image that society has become more sexually tolerant over the years. This research focuses on a selection of African-American songs about the death of John F. Kennedy. The paper thereby particularly concentrates on the question how African-American artists express civil religious ideas in relation to the efforts and accomplishments of the Kennedy Administration, the comparisons that are made between Biblical figures and the slain president, and the manner in which these artists express civil religion when discussing the future of the United States after the death of the President. It thereby not only zooms in on the African- American musical and cultural heritage, but also on the role of Christianity in 1960s America. Het raffinageproces waarbij plantaardige oliën worden omgezet tot gebruiksklare producten leidt tot een momenteel onbenutte zijstroom, het ontgeuringsdestillaat. CO2-extractie. De optimale condities voor beide processen zijn bepaald a.d.h.v. Aspen Plus®, een geavanceerd processimulatieprogramma. Op deze manier wordt getracht een conceptueel ontwerp te definiëren voor een economisch rendabele recuperatie van minorcomponenten uit een ontgeuringsdestillaat. Afvalwater als alternatief voor ruwe aardolie: feit of fictie? In rioolwaterzuiveringsinstallaties kan met een fijnzeef cellulose van de afvalstroom worden afgescheiden. Het is mogelijk om vertrekkend van deze cellulose bio-ethanol te produceren. In dit project werd een methode voor de productie van bio-ethanol uit afgezeefde cellulosevezels ontworpen en uitgebreid getest. Deze methode verloopt in twee stappen: een enzymatische hydrolysestap met het enzym Celluclast® en een fermentatie met de gist Saccharamocyes cerevisae. Beide stappen zijn experimenteel onderzocht en kunnen middels een Michaelis-Menten kinetiek beschreven worden. Een industriële simulatie van het volledige proces bracht ook twee knelpunten aan het licht: het grote waterverbruik en het verlies van enzymen in de productstroom. Protection from water flooding by dikes is an important issue in the Netherlands. Therefore dikes have to be regularly tested for possible failure, for example caused by micro-instability. Micro-instability occurs in the upper layer of the dike, due to water flowing through it. The goal of this research was to determine the influence of the measurement density on safety assessment of river dikes for micro-instability and in addition to give a confidence interval for these assessments. This paper shows that uncertainty in cover layer thickness has the largest effect on the reliability of dike safety assessment in relation to micro-instability. This paper investigates the attribution of responsibility to artificial intelligent systems (AI). It argues that traditional approaches to the subject are insufficient because they encounter some of the same problems that one encounters when attributing responsibility to humans. Peter Strawson's take on responsibility is introduced as an alternative approach. He claims that theoretical considerations miss the point when we ponder the responsibility of human agents. Instead, we should understand responsibility as part of the practice of human life. This claim is investigated and transferred to AI to see if it provides a more fruitful way to understand responsibility of AI. The Usambara Mountains are a region in Tanzania with a high population density, low soil fertility and high rainfall variability. The persistence of drought occurrence and the influence of the Indian Ocean Dipole (IOD) driven sea surface temperature (SST) anomalies on drought occurrence in the Usambara Mountains was analyzed. A Markov analysis was used to calculate the rainfall probabilities and drought occurrence. The October-December rainfall season showed a higher rainfall variability than the March-May rainfall season, a higher probability for drought occurrence, is therefore unreliable for the cultivation of crops and is correlated with the IOD. Overexpression of genes involved in heat stress response may yield heat stress resistant plants. To bring genes into overexpression, a good constitutive promoter is key. The key question of this study was: Is the Arabidopsis thaliana ubiquitin1 promoter constitutively active in Solanum lycopersicum? S. lycopersicum plants where transformed with an A. thaliana ubiquitin1 promoter driving expression of β-glucuronidase (GUS). Six out of the ten successfully transformed explants showed expression of GUS, either in protein activity or transcript. The research shows that the A. thaliana ubiquitin1 promoter is not constitutively active in S. lycopersicum, but instead shows sporadic expression. The objectives of this study were to determine the effects of agricultural management, related to conventional and organic soil management, on the soil water repellency (SWR). Besides the relation between the agricultural variables and the SWR, the influence of soil organic matter and pH was examined. To classify SWR, the persistence and severity was measured using the water drop penetration time, respectively the water-drop contact angle. Organic soil management was shown to have a significant higher SWR compared to conventional soil management and a strong positive correlation between soil organic matter concentration and SWR was found. The soil pH showed a negative correlation in relation to SWR. Pesticides such as lufenuron are widely used in agriculture to preserve crops and maximize harvests. The application of lufenuron might cause it to inadvertently end up in surrounding ecosystems and causing unwanted damage. To assess the potential ecological damage and the fate of lufenuron, sediment toxicity tests using spiked sediment were performed, as well as a sediment aging test. Chironomids appeared as the most sensitive species and the toxicity of lufenuron decreased faster than previously thought at 20°C. Lastly, very little lufenuron can easily cause an environmental risk after application. Coastal erosion is a major problem along sandy coastlines. Increasing the strength and stiffness of sand could be a possible strategy to prevent land loss. Recent studies have found that denitrifying bacteria may be able to increase erosion resistance by inducing precipitation of calcium carbonate. In this study bacteria obtained from different sites have been evaluated on their activity and efficiency in seawater conditions with different substrate concentrations. Both bacteria, one obtained from freshwater the other from a seawater environment, were found to be active and efficient in seawater. The most active and efficient combination turned out to be bacteria obtained from the North Sea at low substrate concentrations. Wave attenuation by vegetation on the foreland can reduce hydraulic loads on dikes. Literature study showed the reliability issues within several methods. The currently most popular method is based largely on an empirical constant, called the bulk drag coefficient. Several datasets were analyzed to find a relation for this coefficient. With the use of this data a quantitative method and tool was developed for computations of this effect. The impact of the vegetation on the design crest height and dike cover was significant. However, current methods for the computation of this effect are still to unreliable for application in practice. picks up the sound from different microphones, and applies smart filters once the system has determined which sounds originate from the same source.This problem also becomes topical when developing sensors based on passive sonar, for instance for autonomous aquatic drones who have to develop awareness of ships and other possible obstacles on a busy shipping lane. Observations of the debris disk around the solar-like star HD 107146 reveal the disk (nearly) transiting an extended background galaxy. By using out-of-transit observations to model the galaxy, we show it to be smooth and well modelable. When subtracting this model from the edge-of-transit observation, attenuation by dust of the debris disk in the line-of-sight can be seen. From this we calculate the column density of the dust. The results of this new way of detecting debris dust agree with previous work, however at increasing distance from the star we find an increasing column density, suggesting dust segregation. Het drooggedrag van watergedragen verven wordt in grote mate bepaald door de vervormbaarheid van de microscopisch kleine deeltjes waaruit ze bestaan. Om het effect van deze vervormbaarheid op het droogproces van een suspensie druppel te testen, synthetiseren wij gecrosslinkte rubber nanodeeltjes in water. De crosslinker voorkomt samenvloeiing van de deeltjes. De fenomenen die we observeren bij het drogen van zo’n druppeltje, invasie van lucht, capillaire deformatie, rimpelingen en breukvorming, blijken te veranderen rond één algemene transitiewaarde voor de hardheid van de deeltjes. Het geheel komt goed overeen met onze theoretische voorspellingen voor het droogproces. Dit onderzoek is ook gepubliceerd in Soft Matter (Kooij et al., Soft Matter 12, 2858–2867 (2016)). Hydrolysis of nucleotide triphosphates (NTPs) is known to drive highly important cellular processes. Of these NTPs, adenine triphosphate (ATP) is mainly studied as it is concerned to be the central fuel of living cells. Gas-phase studies have been performed to elucidate the conformational preference of NTPs focusing on the dependence of the nucleobase and extent of deprotonation. Therefore, a combination of infrared (IR) spectroscopy and mass spectrometry has been applied to ATP, CTP and GTP. IR action spectroscopy and supporting theoretical studies showed that the attached nucleobase has little influence on the three-dimensional structure of the phosphate tail. The favorable deprotonation sites of the singly and doubly deprotonated NTPs have been assigned. This can lead to a better explanation of the behavior and selection of NTPs in living cells. In this article we take a small step in answering the famous question “Can one hear the shape of a drum?” Recently, Grieser and Maronna have shown that if the drum is shaped like a triangle, the answer is yes. In this article we investigate this question for trapezoid drums. We define a subset of trapezia and prove that for drums of this shape the answer to the question is also yes. To do this, we need to investigate periodic orbits in a triangle. In particular we prove a lower limit on the length of families of periodic orbits. Data peeking, quitting data collection early or adding more participants at the end, offers the advantage of saving time and money. However, performing an interim analysis without correction leads to a Type-I error inflation. Using alpha spending function could be used to solve this problem. In this paper, we simulated the effects of interim analysis with and without an alpha spending function on type-I error, power and expected sample size. We also offer a Bayesian perspective to interim analysis. In the last part, we discuss the use of interim analysis in psychological research using a qualitative approach. The household saving ratio in the UK dramatically decreased and traditional economic theory fails to explain this decline. Therefore, researchers and policy makers turn to behavioral economics theory to better understand saving behavior and to take corrective action. This paper combines three bodies of literature into a single framework in order to contribute to this understanding. For this, survey data from the UK is used in a multi-level dichotomous mediation analysis. It is revealed that substantial fractions of the effects that personality traits have on saving outcomes arise due to the influence that these personality traits have on specific saving behaviors. In this artificial language learning experiment, we investigated how accessible different structural cues are (word order, case marking) and whether these cues bootstrap word learning. The results show that the accessibility depends on the learner’s native language. Exposure to a word order similar to their native language improved performance, allowing participants to use their word order knowledge to bootstrap word learning. Case marking helps structure learning if word order and case marking cues are familiar. However, participants learning a language with case marking could not use this cue to bootstrap word learning. Privacy and security perceptions are growing topics in e-commerce. To develop a successful marketing strategy, it is crucial to know and address privacy concerns to prevent them from negatively influencing the online shopping behavior of customers. Perceived risk and trust are chosen to measure privacy perceptions. This study focuses on two generational cohorts, the millennials and baby boomers. The aim of the research is to investigate differences in privacy perceptions influencing their online shopping behavior. The research question is answered by analyzing data from German respondents. This study explored the effects of alcohol warning labels on different age groups. Respondents (N = 262) were randomized to one of the three warning label conditions. Respondents’ intention, attitude, and self-efficacy towards drinking less alcohol and other self-reported impact measures were measured. Results show that a warning label with a fear appeal message is perceived as more effective in influencing intention in the older age group. A warning label with a coping message was perceived as least effective on multiple outcome measures. At last possible relationships between alcohol intake and several impact measures such as personal relevance were found. Het doel van deze studie was om te onderzoeken of er samenhang is tussen psychopathologie, sociale steun en gewelddadige victimisatie bij patiënten met schizofrenie (N=184). Daarnaast werd er onderzocht welke subschaal van de BPRS-E de sterkste voorspeller voor gewelddadige victimisatie is. De resultaten toonden aan dat patiënten die een hogere mate van psychopathologie vertoonden, een hogere frequentie van gewelddadige victimisatie rapporteerden. Daarnaast bleek de BPRS-E subschaal positieve symptomen een voorspeller voor gewelddadige victimisatie te zijn. Tussen sociale steun, psychopathologie en gewelddadige victimisatie werden geen verbanden aangetoond. Vervolgonderzoek kan zich richten op de verklaringen van het verband tussen psychopathologie en gewelddadige victimisatie en preventiemogelijkheden. It is known that high sensory processing sensitivity can lead to positive or negative outcomes, depending partly on the childhood environment. It is also known that there is a link between high sensory processing sensitivity and social anxiety. However, no studies have investigated if the effect of sensory processing sensitivity on social anxiety was moderated by childhood environment. The present study assessed that and showed that there was no moderation effect. There was however a direct effect of both childhood environment and sensory processing sensitivity on social anxiety. High sensory processing sensitivity might thus be a risk factor for psychopathology. Evidence from both educational and cognitive psychology shows that people have trouble learning abstract relational principles and applying them to different contexts. Participants (N=84) learned to categorise stimuli consisting of abstract coloured patterns organised within either a classification or an inference presentation. They could do so using similarity of features or a relational principle, but only the latter was applicable to the transfer task. Results suggest that inference learning suppressed the ability to consistently encode features and lead to more consistent use of the relational rule and subsequently higher transfer performance, in spite of unchanged contextual richness. Uit eerdere studies bleek een positieve samenhang tussen dagelijkse stress en negatief affect bij adolescenten. In deze studie werd met een cross-sectionele survey onder 121 adolescenten (18-21 jaar) nagegaan of zelfwaardering een modererende invloed heeft op dit verband. Het bleek dat hoe groter de dagelijkse stress hoe hoger het negatief affect, en dat hoe hoger de zelfwaardering hoe lager het negatief affect. Het verwachtte modererend effect van zelfwaardering op het verband tussen dagelijkse stress en negatief affect werd echter niet aangetroffen. Verminderen van stress en het vergroten van zelfwaardering kunnen dus bijdragen aan het verminderen van negatief affect. By the use of econometric techniques, this paper extends the application of predictive methods for unemployment rates by the use of Google Trends from developed western countries to the case of Brazil. Indeed, Google search volumes of keywords related to job-search turn out to contain significant predictive power and biweekly search data can predict the direction of the unemployment rate with around 80 percent accuracy, beating baseline methods using seasonal patterns by more than 15 percent. WiFi networks are a popular gateway to connect to the digital world. It is often required to authenticate before being allowed to use such networks. Currently most WiFi authentication mechanisms are identifying. This is because users authenticate with a unique identifier (username, user-id). This identifier is not always important, in most cases it is sufficient to show that a user has possession of certain attributes. In this paper we introduce an anonymous authentication scheme, based on attributes rather than identities. This results in privacy-friendly authentication for WiFi networks. It can even change the way how we connect to the digital world. The linguistic relativity debate has often focused on how languages differ in the coding of sensory perceptions. Sensory expertise of some cultures possibly increases the consistency of their language’s sensory coding. To analyze the effects of sensory expertise within cultures, wine experts and non-experts were tested in color naming and categorization in a neutral and expert context. Wine expertise influenced color naming in both contexts, but not categorization. Experts decreased in consistency while using more specific color terms. This shows that expertise can influence language and that verbal and non-verbal domains are affected differently. This paper investigates the driving forces of immigrant entrepreneurship in Europe, focusing on macroeconomic, formal institutional, and educational factors. With increased inflows of immigrants and migration between European countries, it is vital to successfully integrate new residents into society and the labour market. In many European countries total entrepreneurial activity (TEA) is higher for foreigners than for natives. The analysis illustrates that entrepreneurial pursuit is strongly influenced by the individual’s level of educational attainment and constraint by governmental programs. By understanding the government’s role in the market and policies’ consequences on immigrant entrepreneurship, entrepreneurial pursuit and persistence can be strengthened. In many psychological disorders, one of the underlying issues is biased appraisal of emotional situations. In an attempt to unravel the underlying mechanisms of this phenomenon at a more fundamental level, the present study attempted to shed light on two individual characteristics, nationality and emotional intelligence, that may play a role in the processing of emotional pictures in three-dimensional emotion space. It was hypothesized that emotional intelligence and nationality would affect one’s rating of emotional images. However, results showed no effects of either. The search for mechanisms that result in biased emotional processing continues. Directions for future research are suggested. The Business-to-Business market is increasingly characterized by customers asking for solutions fitting their infrastructure and functional requirements in a short timeframe. The high frequency of such single unit solutions together with the unpredictable and often very specific customer requests impose a challenge onto the supplier’s knowledge management. This paper analyses current corresponding knowledge management barriers, which hamper the production process, in particular, because of misunderstandings between sales and engineering departments. The aggregation of the results of a literature review and an empirical study identifies three measures for overcoming these barriers in order to establish a global culture of knowledge sharing. If a United Nations peacekeeper allegedly is involved in human trafficking, they become part of the problem, rather than the solution. This research finds that human trafficking and UN peacekeeping frameworks are not sufficiently linked to hold peacekeepers accountable for alleged human trafficking crimes. International human trafficking legislation does not aptly apply to troop-contributing countries, whose domestic legislation could be inefficient in combatting human trafficking. Moreover, UN peacekeeping legislation largely omits human trafficking. Lastly, there are practical obstacles to ensuring accountability due to the UN’s weak regulatory system and the reliance of TCCs’ ability and willingness to cooperate. The influence of commitment on employees’ sense of belongingness, and the consequences on employees’ turnover intentions in high-commitment organizations: A study at the Royal Netherlands Navy. This study has been conducted in order to further understand the experience of belongingness of employees and to identify how organizations can reduce the turnover intentions of their employees by using the experience of belongingness, complemented by the effect of commitment (formal and informal). Two forms of belongingness were developed: (1) personal belongingness and (2) organizational belongingness. The results of this study indicate that a positive experience of organizational belongingness reduces the turnover intentions of those employees. Complementing this with formal commitment could increase the positive experience. Personal belongingness could either reduce or increase the intention to leave; informal commitment could be used to reduce this intention. De afgelopen tien jaar is er een toenemend aantal gezondheidsbevorderende mobiele technologieën ontwikkeld die gebruik maken van diverse persuasieve strategieën om gedrag vorm te geven of te veranderen. Echter, er is nog weinig bekend over hoe deze strategieën afgestemd kunnen worden op verschillende gebruikers(groepen) om een gewenst resultaat te bereiken en het succes van zulke technologieën te optimaliseren. Dit artikel presenteert een onderzoek naar de relatie tussen persoonlijkheid en voorkeuren voor persuasieve strategieën. De gevonden significante samenhangen lieten zien dat persuasieve gezondheidsbevorderende applicaties beter aan de behoeften van diverse gebruikers zouden kunnen voldoen door rekening te houden met hun individuele persoonlijkheidstypes. Vallen is een groot probleem bij patiënten met een beroerte (CVA). Zo zijn complicaties van vallen de hoofdoorzaak van onverwachte sterfte bij ouderen. Het doel van dit onderzoek is om te onderzoeken waardoor iemand valt, zodat er gerichte valpreventie programma’s opgericht kunnen worden om vallen te voorkomen. De onderzoeksvraag luidt: “Welke factoren zijn voorspellend voor vallen bij chronisch CVA-patiënten?”. De factoren balans, loopsnelheid, depressie, valangst en hemiplegische zijde zijn in kaart gebracht door de BBS, 10MWT, GDS en de FES-I bij CVA-patiënten (N=46). In de statistieken lijkt er een trend te zijn. Echter kan geen van de factoren vallen voorspellen. Dietary habits are crucial determinants of health status. Especially in old age, maintenance of adequate dietary intake becomes increasingly difficult. Deficiencies in nutritional factors are associated with increased oxidative stress and elevated levels of systemic inflammatory factors; pathological processes commonly found in dementia. The current study investigated the extent to which elderly individuals (≥50 years) living in nursery care, meet their nutritional requirements. Intake was evaluated by entering data from Food Record Forms into the NutriCount© program and then compared against European and Dutch reference values and Dutch dietary guidelines. Results indicated significant mineral and vitamin deficiencies in the majority of residents. This could have important implications for overall health status of institutionalized elderly individuals. Adjustments in nutritional intake through supplementation could constitute a powerful tool in improving health outcome in old age. Diarrhoea is a common side effect in children on an antibiotic treatment. Antibiotic-associated diarrhoea can cause serious adverse effects such as dehydration and electrolyte disturbances, resulting in possible hospitalisation. This critical appraisal of a topic is focused on the question whether probiotics can prevent antibiotic associated diarrhoea in an 18 month-old boy. Four randomised controlled trials with a strong validity demonstrated the benefit of probiotics. Children that took probiotics in addition to antibiotics had a lower incidence of diarrhoea then children that took a placebo. Also, other positive effects of probiotics, concerning diarrhoea, were found. According to sports coaches, the upper body posture is an important factor in running. This paper shows it is possible to detect an improper posture of a runner’s arm using a flex sensor. It does this by showing how accurately a flex sensor can describe an angle. It also shows in which location on the arm the sensor should be placed. Lastly, it is shown how the sensor performed in actual running exercises, although the accuracy during these runs was not calculated due to limited resources and time. Macrophages and dendritic cells (DCs), critical immune regulators, demonstrate synergistic cytokine production upon co-stimulation with Fc-receptor and Toll-like receptor (TLR) ligands. Since cytokine production upon TLR-triggering depends on glycolysis, this research investigated whether cytokine synergism also requires glycolysis. This was analysed in (co)-stimulated human macrophages, monocyte-derived DCs (MODCs) and retinoic acid DCs (RADCs). We showed that co-stimulation additionally enhances glycolysis compared to TLR-stimulation alone. However, synergism depended on glycolysis in RADCs only, whereas macrophages and MODCs showed synergistic gene expression, indicating translational and transcriptional regulation respectively. Elucidating these mechanisms could improve clinical manipulation of immune responses. In een kwantitatieve tumorbeschrijving wordt de aanwezigheid van specifieke cellen uitgedrukt in percentages. Deze waarden kunnen het onderzoek naar het ontstaan en beloop van de kanker ondersteunen, en mogelijk worden gecorreleerd aan bepaalde prognostische of therapeutische uitkomsten. Met dit onderzoek introduceren wij een nieuwe en unieke methode om op relatief eenvoudige wijze accuraat het T-celinfiltraat in kankersamples en ander weefsel te kwantificeren. Hierbij wordt geïsoleerd DNA geanalyseerd middels digitale PCR. In klasse IIb-oogmelanomen kan met deze methode een uitgebreid T-celinfiltraat worden aangetoond. The hypothalamic Suprachiasmatic Nucleus (SCN) is known as the central biological clock that regulates circadian rhythmicity in mammals. Through vasopressin (AVP) processing in its shell, the SCN signals to other brain areas and peripheral organs in the body. A novel protein, Doublecortin-like (DCL) was identified to have overlapping expression with that of AVP. Mice with SCN-specific DCL-knockdown show abnormal activity adaption after a change in light-phase, and immunohistochemical AVP staining indicate a distortion of AVP in the SCN of DCL-knockdown mice. Together, we conclude that DCL may be a novel regulator of AVP signalling in the SCN. Facial pain expressions are frequently used to assess pain in populations that cannot verbally express their suffering. The present study aimed to investigate the usefulness of facial expressions as an assessment tool and the influence of executive functioning on facial pain expression. Pain ratings to mechanical nociceptive stimuli were obtained from 57 healthy elderly, facial pain expressions were filmed and coded, working memory and cognitive inhibition were assessed. Results showed a positive correlation between stimulus intensity and pain expressions which was moderated by cognitive inhibition. Pain intensity has a stronger effect on facial pain expression at low levels of inhibition. Excessive substance abuse in young adults could develop into addiction. A possible cost-effective intervention that could reduce excessive alcohol consumption is Cognitive Bias Modification (CBM). However, this intervention causes a low motivation to train. This study will examine the effects of performing a CBM intervention. Participants (n = 64) completed a CBM training either on a computer or on their mobile device. Performing the CBM on a smartphone led to more completed CBM training blocks. No change in alcohol approach bias and alcohol use were found. Epigenetic inactivation of tumor suppressor genes by promotor methylation is an important mechanism contributing to tumor progression. An example of a tumor suppressor gene which is frequently epigenetically inactivated in many types of cancer is RASSF1A. We analyzed promotor methylation of RASSF1A in uveal melanoma, the most common ocular malignancy. In this report we present an advanced approach to study quantity and density of methylation by combining methylation-specific digestion with digital droplet PCR. High dense methylation appeared to be associated with loss of expression and is possibly related to metastatic progression despite lack of an established prognostic marker (monosomy 3). Purpose: The purpose of this study was to determine a safe and feasible test setting to evaluate the automaticity of gait in healthy elderly. Methods: Seven healthy elderly participated and three different randomly ordered gait modes, with and without the performance of an auditory Stroop test, were assessed. Conclusion: This study revealed that the Gait Real- Time Analysis Interactive Lab is a safe and feasible test setting to determine the automaticity of gait. In addition, the present research has implications with regard to a feasible test setting to evaluate the automaticity of gait in people with a compromised mobility function. Increasing tissue selectivity of compounds may aid the development of safer drug treatments by decreasing side effect prevalence. To enable this, improved insight into the mechanisms underlying tissue selectivity is required. In this article the influence of receptor concentration, drug-target affinity and binding kinetics on tissue selectivity is described. Simulations were performed in a physiological model with drug-target binding, informed by in silico predicted physicochemical properties. Lower tissue selectivity was observed for high affinity ligands than for low affinity ligands. This observation moves against the current paradigm in which high affinity ligands are assumed to be better drug candidates. In this study, the concept of targeted photodynamic therapy, a method to induce cell death, was tested for epithelial ovarian cancer. Therefore, a recombinant single-domain antibody (7D12) was conjugated site-specifically to the photosensitizer IRDye700Dx by sortase-mediated transpeptidation (sortagging) and click chemistry. Cell binding and phototoxicity of these conjugates was evaluated in vitro in three different cell lines with different levels of epidermal growth factor receptor (EGFR)-expression. It was demonstrated that targeting of IRDye700Dx with 7D12 lead to specific binding of these conjugates to high EGFR-expressing cells, allowing cell killing of only these cells after illumination of the photosensitizer.